We are very happy to tell you about the book with the Messages of Master Saint Germain, one of the Ascended Masters. The book is unique, and not only due to the fact that it contains the Messages which were received from the etheric octaves of Light by Tatyana N. Mickushina, the Messenger of the Great White Brotherhood. This book is unique because the whole team of translators and proofreaders from Great Britain, Ireland, Russia and the USA worked on it. The book was published in Latvia and released owing to a sponsor's help. We thank all the translators, sponsors and the publishing house "SolVita" in Riga! The team of translators and proofreaders kindly shared their impressions of the Messages. Since I've started reading the dictations given by Saint Germain, my whole life changed and miracles started happening to me. 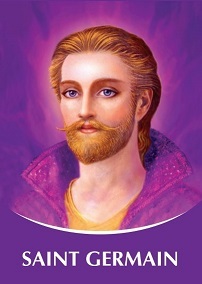 I feel the presence of Saint Germain often and know that He is guiding me in my work and in my life as a whole. I love and thank Him! Saint Germain is one of my most favourite Masters. Everything that is spoken about in His dictations is close to me. He speaks in plain language comprehensible to the reader. It was also interesting to know about the succession of His embodiiments and the amazing experience of lives that is felt in the background of each of his dictations. I can totally get what He is saying; for us to work on our inner selves (consciousness), and then things will present themselves in the "outer/external" world. And I love the encouraging reminder that we must be serving the Masters without satisfying some whim of the ego. It's encouraging to know that the dangerous parts of the path have all been identified. We can go forward with confidence. It's exciting to think that we have the opportunity to be the Pioneers. The words of Saint Germain are alive and they resonate with my heart. It's such a relief to know we are not alone in this Universe and our older Brothers are walking beside us – leading, teaching and inspiring. I enjoyed reading ... I felt like maybe I knew what St. Germain was trying to get across to us. First I have to say I feel honored to be a part of this endeavor. It isn't every day a person can be involved in doing the work of the Masters on such a level. At least that's how I looked at it. I don't really 'feel' energy but at different times I felt a "presence" … The messages throughout are the same, "Listen, use the tools, raise your consciousness." I feel uplifted after reading these messages. When I stated this text I typed Saint Germain and got a little chuckle and got a sense that He was still with me. Thank you for allowing me to share. The vibrations of Master Saint Germain, always inspiring and supportive, give hope to our souls and the view of the bright future for the humanity. And I must also share the fact that as soon as I started reading the dictations of the Masters, many beautiful souls appeared in my life who became my dear friends. And these are also the fruits, according to which we can see that the Teaching is true and from God. God's messenger, the cosmic magician, an alchemist of divine love. How many more adjectives come to mind when I read his messages. Not each of them or all of them together, can not express all the appreciation, love and gratitude that fills my heart by reading his dictations. The Lord's Messages like an elixir of love which fills the heart. I want to love, to give love to everyone. I want to fly high in the sky and shout with all of my heart to the whole world: "People, please, love each other, grant each other the happiness of love, appreciate the time that you spend with the people you love" I am thankful for the fact that I live at the time, when the Cosmic Hierarchy able to send the spiritual teachings through the messenger of Light Tatyana N. Mickushina A low bow to her. In one of His dictations Saint Germain said, "I have come with another important mission today. I have come, in order to give a huge crystal amethyst as a present to our messenger Tatyana. I am leaving this crystal on the subtle plane of the Ashram and am convinced that very soon it will manifest itself on the physical plane, and it will serve as an additional source of Light, capable of pointing the Path to a lot of light-bearers all over the world." As I see it this book is one of the manifestations of this amethyst on the physical plane.